What does a DreamMaker Bath & Kitchen Franchise Cost? The estimated startup costs for DreamMaker Bath & Kitchen is between $18,000 to $91,500. DreamMaker offers discounts to veterans, existing remodelers who want to join the DreamMaker family, and to franchisees who want to purchase a larger territory. The fee includes the DreamMakers buying power and vendor relationships to provide more competitive pricing for your business, GPS Marketing System™ to generate leads and ongoing training and support. 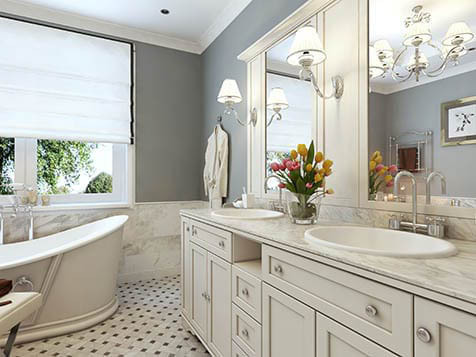 DreamMaker Bath & Kitchen: Strong Margins, Quality of Life. DreamMaker provides extraordinarily detailed systems and tools to help entrepreneurs start and grow a remodeling business. 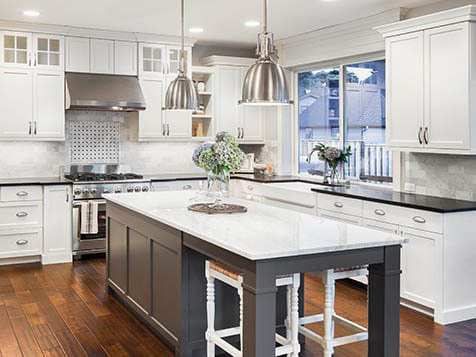 Some of the DreamMaker owners were new to remodeling when they started their franchise. 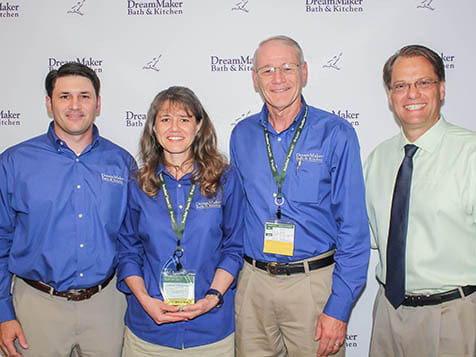 Others, already owned a remodeling business, but found a new level of success both in their business and personal lives by becoming part of the DreamMaker family. DreamMaker is looking for more people interested in growing a wholesome business with strong margins. Learn more about the DreamMaker opportunity today. Open DreamMaker Bath & Kitchen in any of these available states: AL, AK, AZ, AR, CO, CT, DE, GA, HI, ID, IL, IN, IA, KS, KY, LA, ME, MD, MA, MI, MN, MS, MO, MT, NE, NV, NH, NJ, NM, NC, ND, OH, OK, OR, PA, RI, SC, SD, TN, TX, UT, VT, VA, WA, WV, WI, WY, DC. Our franchise owners enjoy much stronger margins than most remodelers — and their customers report much, much higher satisfaction. 96% of the hundreds of DreamMaker customers surveyed would recommend us to a family or friend. DreamMaker's business practices are guided by biblical principles of service, respect and integrity — and are key to our success. Coach-Ability. Entrepreneurship is the key to success, but at the same time, it’s important to step back, absorb and implement the lessons DreamMaker already has learned. Bob Ender came to DreamMaker after having spent years as an automobile industry executive. When he joined DreamMaker, he had younger children and wanted to travel less and stay closer to home. As someone who ran a remodeling business in college, he made for an excellent DreamMaker candidate. He has now co-owned a franchise in Ann Arbor, MI, with his friend Lee Willwerth, a former software engineer, for more than 10 years. “Since partnering with DreamMaker, I’ve definitely been blessed with the growth of a very successful business,” Ender says. “As far as work-life balance goes, that’s been re-established from something I didn’t have in the corporate world. We’ve definitely taken more family vacations than I did when I was in the corporate world.” - Bob Ender, Ann Arbor, Michigan. "It is a business based on biblical principles. You start to see the heart of Doug (Dwyer, DreamMaker president) and see that he is different. For him, it’s not about money, per se. No question, he is a hard negotiator trying to make a profit, but not at the expense of others. He has integrity. The other thing I appreciate is the strength of the other franchisees. You just see really, really good people morally who are doing their best and working to get better, and who are willing to share ideas and help you out. It’s a real family atmosphere. From a business standpoint, if you are willing to plug in, that means that instead of coming up with 10 marketing schemes, I can talk to two or three guys and find out what has worked for them and what they would do differently if they had a chance to start over. That sharing, to me, is the strength of the whole organization." - Steve Betts, Lubbock and Amarillo, Texas. Click here to visit the DreamMaker website.